A YouTuber who said that eating a raw vegan diet, drinking juice and praying to God cured her cancer has passed away. Mari Lopez, one half of the vlogging duo Liz & Mari, succumbed to an aggressive terminal cancer that spread to her blood, liver and lungs. She was known for posting viral videos about how she was able to cure her stage four diagnosis through faith in God and following a strict diet of raw vegetables. Today in an interview with babe, Liz Johnson, who made videos with her aunt Mari, doubled down on her beliefs, saying she "completely" stood by what she posted. Liz & Mari, whose videos amassed hundreds of thousands of views, regularly posted about how Mari had recovered from a terminal diagnosis through her Christian faith and her discovery of lemon and ginger juice. They told their followers in no uncertain terms that they could do the same, uploading how-to videos like STAGE 4 CANCER HEALED BY JUICING & RAW VEGAN DIET PART ONE (nearly 300k views, part two had over 400k). Liz & Mari gave recipes for juices that would clean "all the toxins" out of your system, and advised what kind of juicing machines work best. In a video, Mari pointed at one juicer and said: "I recovered from cancer with this machine." 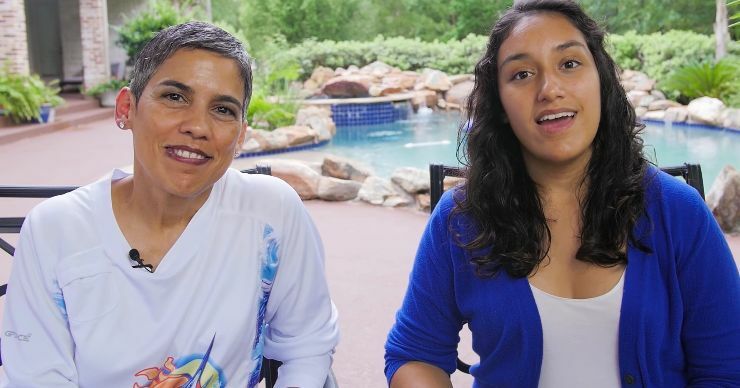 Their videos inspired an outpouring of misguided love from cancer patients and religious viewers who thanked Liz & Mari for sharing their journey. Some fans even said they would encourage their partners to follow a juice diet for their cancer diagnosis. Mari referred to how she was able to cure her cancer in 90 days by drinking juice. 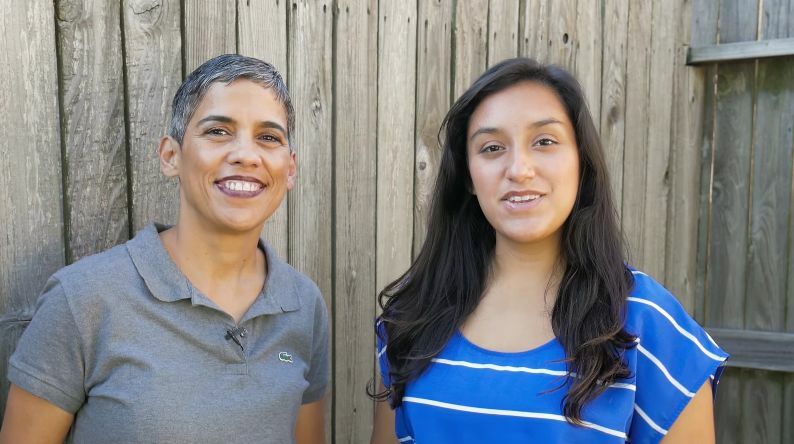 She said her renewed faith and diet even pushed her to renounce her lesbian sexuality. "I was healed by God and faith and used to live a gay lifestyle," she explained in one video. This went on for over a year as Liz & Mari posted a videos behind a paywall on Vimeo (now deleted), offering tips on juicing recipes and advise on how to cure cancer. Until summer 2017, when Liz posted an update to Mari's condition, saying: "She's not feeling well." By October, she was desperately sick with an aggressive cancer in her blood, affecting her liver and lungs. By December, she was in hospital. "The doctors have given her only days to live," Liz wrote on Facebook. Two days later, Mari had passed away. Speaking to babe from Houston, Texas, Liz explained her aunt was pushed by her sister (Liz's mom) to start radiotherapy and chemotherapy, which she thinks disrupted her diet of juicing. Liz refers to this as "inconsistencies," which she thinks pushed Mari to her death. Liz's mom favored conventional medicine while Mari wanted to follow alternative treatment. "She was following a raw vegan style [diet]," Liz explained. "My family is not familiar with that style of living… What happened was, as Mari was living with my mom, my mom started to tell her that she needed to eat meat now. She said it was OK to use things that she didn't want to use. My aunt was very against the microwave because of cancer-causing issues with that, and my mom would cook her things using the microwave." According to Liz, this led to Mari giving in to her mom. "My mom would buy her burgers and things like that, and she didn’t want to eat that but after a while she just was just OK with it. When you give in too many times, you just end up saying whatever. I feel like that’s what caused the issues. That’s where the inconsistencies were. She was telling people in her videos that people needed to eat this way, but at the same time she was having her own struggle." Does Liz genuinely think had Mari kept up with her vegan lifestyle, the results of her treatment would have been different? "I think they would have, honestly," she said. "I really, truly think that they would have. That’s what really contributed to her change in the first place. Going backwards is not going to help anything." Later in our conversation, she added: "I can't fully say 100 percent but I think that may have been what happened." Even after her aunt passed away from cancer, Liz is still certain that you can heal yourself just through prayers and juice. "I still agree with the message, completely," she said. "I would agree with it and I still go behind that message. You have your spiritual side and your physical side that work together to improve you as a whole. That’s the message." Liz explained that towards the end of her life, Mari had asked her to take down the videos proclaiming the healing powers of the vegan diet. Liz said she would keep the videos up, genuinely believing they could give cancer patients help. She even called the experience a "test of faith." "She didn’t want anybody listening to her, which I understood because I knew that she was depressed," Liz explained. "She was upset because her cancer had come back. I can understand how maybe she didn’t want to give people false hope. I had to pray a lot about it, because I could feel her pain. But in my own relationship with God, I knew it could still help people, it could still make a difference in people’s lives, it could still give hope." Liz plans to continue her channel, uploading health videos and offering financial advice. She said she would keep up the vlogs of her and Mari discussing her cancer, and even add the premium Vimeo clips for free.